Enter at South door, which will be marked with SEMIUG sign. The first 10 attendees onsite will be provided a copy of Fundamentals of Technology Project Management 2nd Edition. Communication Excellence - communication planning, managing, controlling, methods, tips for success, enhancing skills in self and others. Colleen Garton is author of MCPress Fundamentals of Technology Project Management 2nd Edition and Managing without Walls. Colleen has extensive management and management training experience in the United States and internationally. She has more than two decades of practical, hands-on experience in traditional and virtual project management in the financial, technology, and science industries. Prior to founding the Garton Consulting Group (http://www.gartonconsulting.com). She held management positions at some major U.S. corporations. During her project management career, she successfully managed many large, complex, multimillion-dollar projects as well as smaller projects in diverse market spaces. She has in-depth knowledge and experience of project management tools and methodologies in addition to extensive knowledge of leadership and management styles and philosophies. Ms. Garton is a certified Project Management Professional (PMP) and has in-depth knowledge of numerous project management standards and methodologies, including PMBOK, Guide, PRICE2 Agile, Rapid Development, Rational Unified Process (RUP). She also has formal training and project management experience in quality management processes such as Six Sigma, ISO, and SEI CMMI. 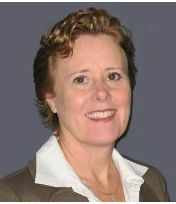 Colleen Garton founded the Garton Consulting Group in 2004. She is the president in addition to working domestically and internationally as a consultant, trainer, and public speaker in project management, virtual management, and leadership. Ms. Garton is the co-author of the books Managing Without Walls (MCPress, 2006) and the AS/400 and Microsoft Office Integration Handbook (MCPress, 1998). 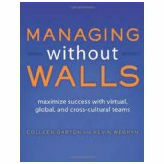 She is also the author of a management blog, Working With or Without Walls http://workingwithoutwalls.blogspot.com).